Welcome to the blog of the Contemporary Keyboard Society. 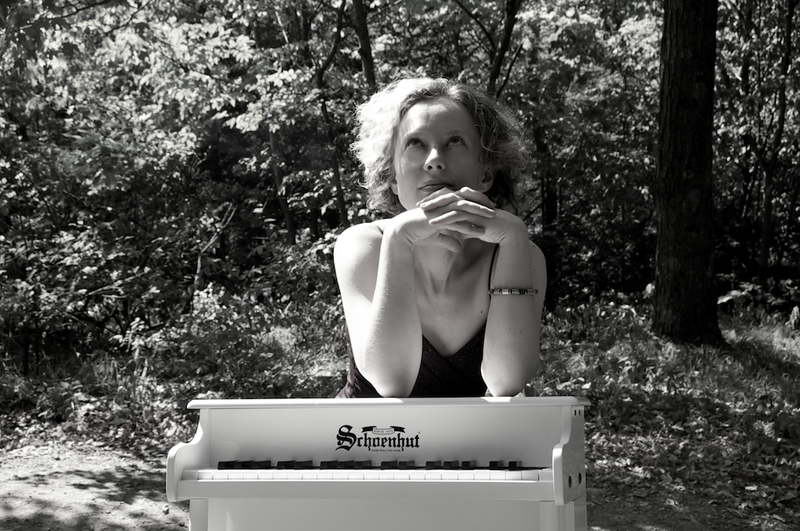 Janice Kelsh founded the Miniature Piano Enthusiast Club in 1991. Her collection of toy pianos numbers over 400 and includes rare and antique items. 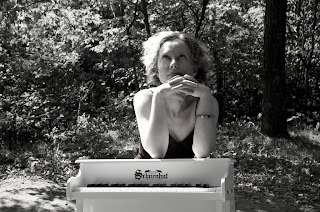 She interviewed Xenia Pestova as part of her series of conversations with professional pianists for the club newsletter, and has kindly agreed to let CKS publish excerpts. Please contact Janice for a copy of the newsletter to read the full interview. JK: Your music background is certainly quite extensive. At what age did you start learning piano in Russia? How soon after that did composition and improvisation begin? XP: There was an upright piano in the house when I was about four or five, and I remember trying to play it and to imitate the sounds I heard around me, such as birds or airplane engines. So, you can say that improvisation came first. I remember really wanting to learn to play since a young age, and I started taking lessons when I was seven. I was always making little pieces of my own, but did not start composition lessons until the age of ten. Now I am more of a performer than a composer. JK: How were your early years of piano lessons? Did you have a natural gift, or did you find it to be challenging? XP: I was always a musical child, so it was easier in that sense, but sometimes I lacked focus. If it wasn't for my mother sitting down to practice with me every day when I started, I wouldn't be doing what I am doing today! JK: Are you from a family of musicians? XP: Both of my parents are very musical, although they are mathematicians by profession. My mother used to play the piano and the violin, and my father taught himself the guitar (a seven-string), so I remember him singing and playing when I was young. JK: I’ve read that you are a promoter of music by living composers. With that said, do you have a favourite living composer, and why is it your favourite? XP: No clear favourite! I just really enjoy being able to take part in the creation of new music. When I work with a composer on a new piece, I can offer comments, and contribute as a collaborator in this way. JK: Who was your inspiration to perform on toy piano and what age did you begin and master performing on toy piano? XP: I really wanted to play "Kalimba" by Karlheinz Essl, which is why I ordered my first Schoenhut. It's a great piece, very inventive (small loudspeakers are placed inside the toy piano for the electronic soundtrack) - I just thought the sound was incredible. This was the first piece I ever played on the toy piano. JK: Did you find that practicing on a toy piano required extra effort than that of a full-size piano? XP: It's very different! As you know, toy piano action is not the same as the "grown-up" pianos. My toy pianos have plastic hammers that hit metal rods - there is no possibility of fast repetition through the double escapement mechanism; the weight, size and feel of the keys are all different. It certainly took some time to get used to it. Of course, all the toy pianos are different, too - sometimes you find the action or tuning is worse, which impacts the performance. JK: In how many different locales have you performed on toy piano? XP: So far, I have played toy pianos in Brazil, Canada, US, Luxembourg and the UK. The beauty of the toy piano is that it is portable, so you can perform in venues that are very small and intimate such as someone's living room, or locations with no piano (or inaccessible to a big piano). JK: Do you have a preference of incorporating sounds of electronics with the toy pianos during performances? XP: I find that adding electronics can expand the available sounds we have with the toy piano, so this gives the composers more options to work with. Otherwise, the sound world can be quite limited. JK: How many Schoenhut pianos do you have that are used for performances? XP: At the moment, I have three. One of them is an upright especially modified for me by Schoenhut to fit into a large suitcase. Travel with a toy piano can be awkward, so I have also bought several pianos and had them delivered for specific concerts, and then gave them away. JK: I so wanted to attend the 2012 Toy PianoWorld Summit in Luxembourg, Can you give me a brief of what compositions you performed on your Schoenhut toy pianos? XP: The summit was great fun. We asked several "toy pianists" to take part. Each presented one or more solo mini-recitals, and we all played duos, trips, quartets and a sextet for toy pianos together. There was so much music. I tried to attend as many other performances as possible, but this was difficult as I was also playing myself. One of the more unusual pieces was the new work by Karlheinz Essl for four toy pianos, which I premiered with Pascal Meyer, Isabel Ettenauer and Phyllis Chen. I also really enjoyed the new piece by Yu Oda (for piano and toy piano), where the performers have to sing. JK: With respect to your teaching piano, do you incorporate toy piano in your teaching? If so, how has that been accepted and how effective has it been? XP: I do give the more adventurous students the option, yes! They love it. Students and colleagues are always charmed when they see my toy pianos in my office. JK: What has been your most memorable experience and your most unusual experience with the toy pianos? It can be during performances or any other non-performance experiences. XP: I would have to say the cave_music project with Katelyn Clark and Erik Ross at the Bonnechere Caves surrounded by hibernating bats was probably the most unusual and exciting experience so far! The bats were very sweet and mostly slept through the whole time, but the cave was pretty cold and damp. You can watch a short video by Veronika von Volkova to get an idea of the experience. Call for Scores - TOY PIANO SUMMIT!